The Wichita city council has voted unanimously to approve funding for the first round of construction on a new baseball stadium. The council approved a package that includes just over $6.5 million for utility work, site grading, infield walls, dugouts and dugout access tunnels, creating a basic framework for the stadium near Maple and Sycamore. The work is being done by a team that includes JE Dunn of Kansas City and Eby Construction of Wichita. Mark Bell, an architect with the Chicago-based International Facilities Group, revealed some key features of the new stadium during Tuesday’s council meeting. He said the seats would be 21 inches wide and there would be more space between rows of seats, and the seats will be elevated higher so fans can see above the people in the row in front of them. He said the stadium will also allow for 360 degree circulation, meaning that fans will always be able to see into the field no matter where they are in the stadium. Bell said the Triple A team that will play in the stadium wants to make it family friendly, with general admission seating that is available to all at a reasonable price. Mayor Jeff Longwell said more public meetings are planned as the design and construction process continues, and there will be answers to questions that have been raised about parking and other issues. Longwell said the city is still working on parking plans for the entire footprint of the stadium. Work will get started immediately, but a community groundbreaking event is being planned for April. 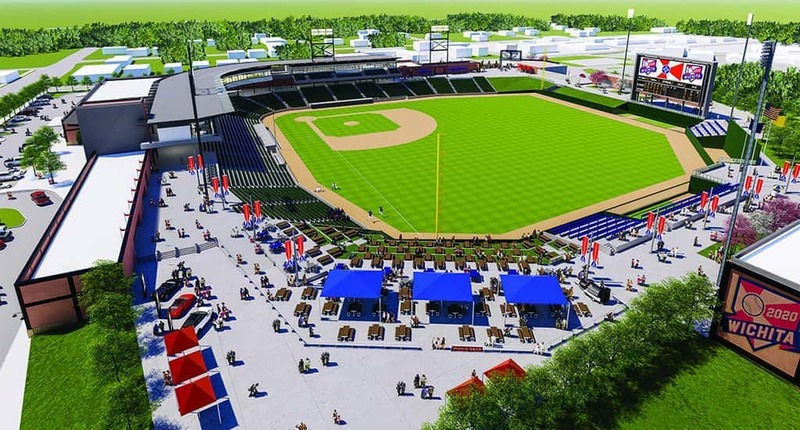 The $69.4 million stadium is to be completed in March of 2020, in time for the Triple A team to begin its spring and summer schedule.